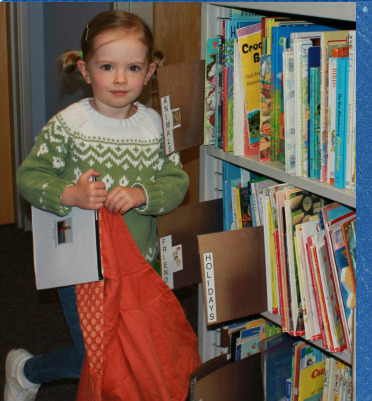 There is a lending library of children’s books available in the Nursery School Office. Books are categorized according to subject which is noted on the back of each book. Books may be checked out for a 5-day period. Please card and return books to their appropriate shelf and section in the library. We are trying to update our selection of books and at the same time honor your child’s birthday. You can donate a book and a nameplate will be placed in the book with your child’s name and birthday.